August will mark the high point for hyping Marvel vs. Capcom: Infinite as Marvel Comics has announced that they will be releasing Marvel vs Capcom: Infinite variant covers on selected titles before the fighting game’s release on September 19. Fight fans, if you can’t wait until September 19th to see heroes from two awesome universes collide in Marvel vs. Capcom: Infinite, we’re bringing you a sneak peek one month earlier when the battle explodes onto the covers of your favorite comics. The game makers at Capcom and Marvel are working closely with a team of the industry’s top talent to deliver all the over the top intensity you’ve come to expect from this fan favorite franchise. No covers have been revealed but expect the Marvel vs Capcom: Infinite variant covers to appear in your local comic stores this August 2017. 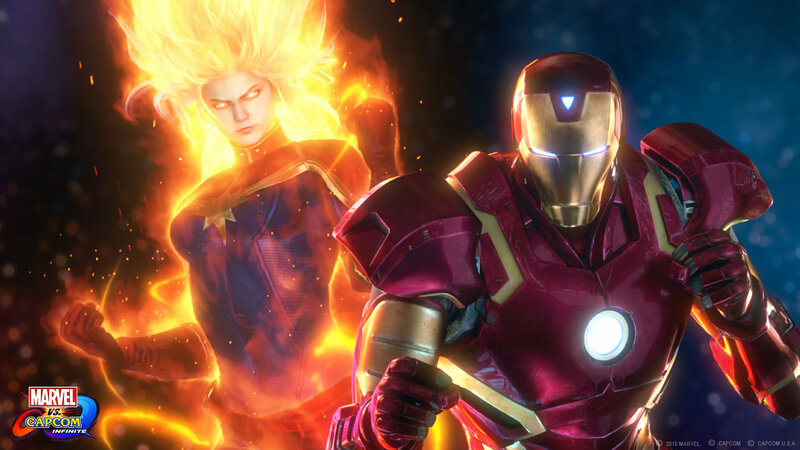 Marvel vs Capcom: Infinite will be released for the Playstation 4, Xbox One and PC on September 19.